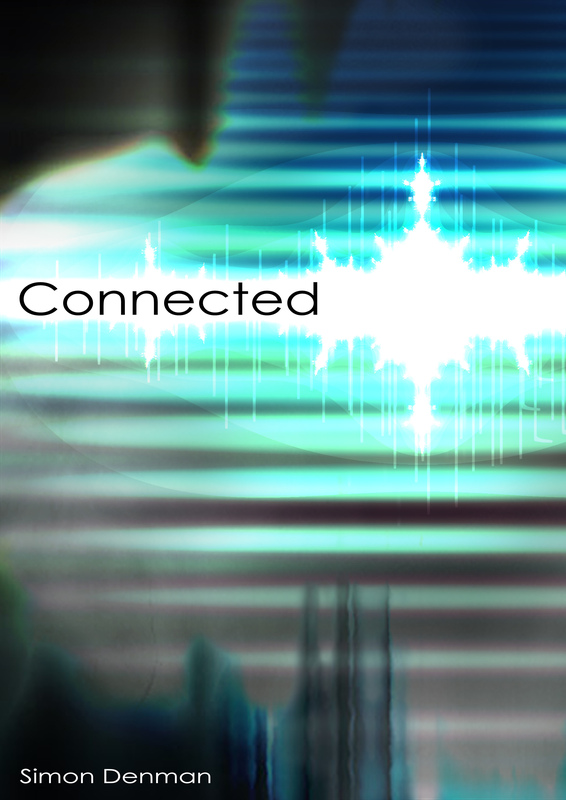 The cover image for CONNECTED, was created on a Mac PowerBook by Mary Denman. 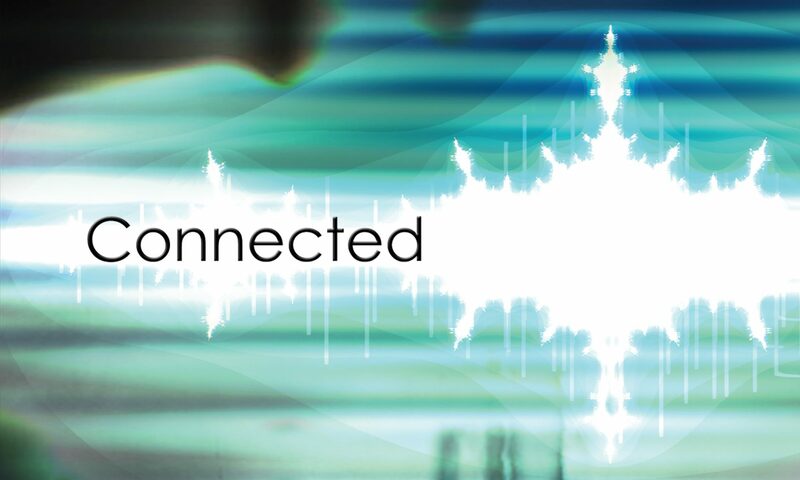 Having cut, tweaked and polished the manuscript for Connected into something I considered worthy of publication, one final task awaited – that of cover design. For this, while having no clear idea what I wanted, yet feeling I would recognise it when I saw it, the challenge was passed to my brilliantly creative and artistic daughter, Mary, at the time completing a degree in Architecture and the University of Liverpool. A few days later, I received the first draft of the stunning design you now see on the cover of this book. Having read (and she tells me, enjoyed) the book, she decided to create a cover which alluded to the mind-altering audio-visual video sequence, DreamZone, of the story. To do this, she combined artistically rendered fractal graphics with the image of an acoustic waveform. Using a combination of Photoshop and a fractal art package called Ultra Fractal 5, more info on which can be found here: http://www.ultrafractal.com/, the design was built up in a number of layers starting with one of the many base fractal templates provided as standard in the software (Lakes), and then edited by tweaking various of the Mandelbrot fractal parameters and colours to create the foundation of the cover image. Upon this, she added the sound-wave-like lines, and finished with flourishes of artistic wizardry beyond my ken. The one thing of which I am certain however, is that this image must have played a huge part in the meteoric rise of this book through the Amazon Bestseller rankings, and for this, I am immeasurably grateful.